In the mood of dunking again …. These twice-baked treats filled with dried fruit and nuts biscotti are perfect for dipping into a cup of hot coffee, cocoa, wine, or cold milk. They served as perfect giveaway Christmas cookies too. Using an electric mixer, beat egg and caster sugar until thick and pale. Add in the vanilla extract continue beating till combined. Sift over flour and baking powder. Add walnut and cranberry. Stir to combine with a spatula. Turn out onto a lightly floured surface. Knead lightly until smooth. Shape into a 20cm long log. Place on prepared tray and flatten slightly. Wrapped them up and certainly they looked pretty as giveaway festive cookies. Enjoy ! Karen, I must bake biscotti one day. I have never eaten one before. 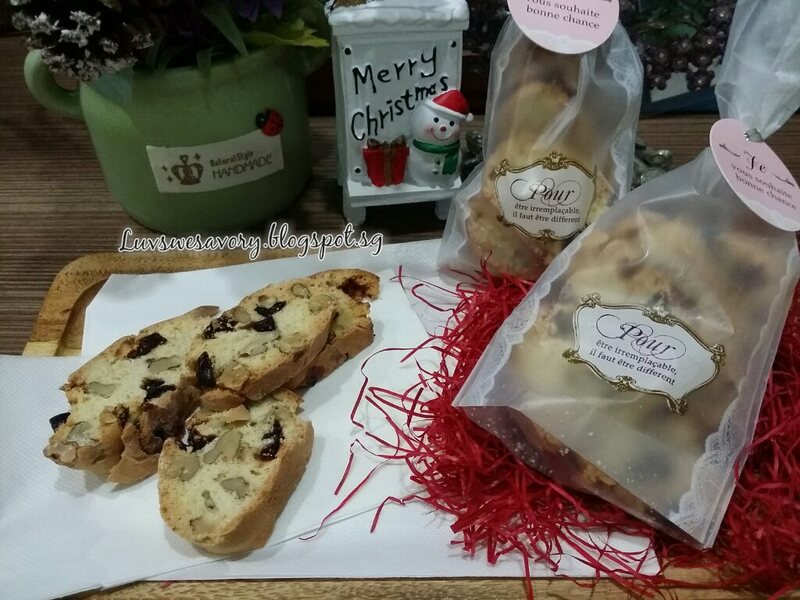 Your cranberry walnut biscotti is perfect for Christmas! Karen, I had only made biscotti (by accident! ), must try an actual proper recipe soon. 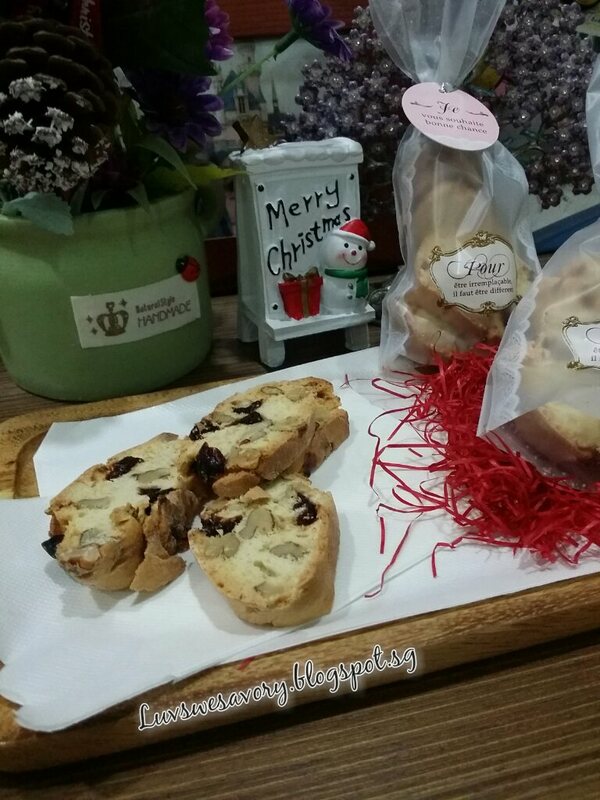 Your cranberry walnut version is very festive! Biscotti is one of my favourite Italian cookies. Yours look great with cranberries and walnuts. Hi Karen, cranberry walnut has to be one of my most favorite biscotti combos.